Stoke City FC has taken pride in playing its home games at the bet365 stadium since 1997. The all-seater stadium cost nearly £15m to build and, from summer 2017, the ground will swell its capacity to 30,000. The stadium’s lofty position means it can be seen by visitors as they arrive into Stoke on Trent. The high footfall of visitors to the ground, together with the stadium being located next to a large industrial incinerator on the edge of the A50, creates a huge cleaning challenge. The stadium is subject to relentless airborne and environmental contaminates that settle on and around the stadium. For three consecutive years, AMSG has been selected to carry out the specialist cleaning services necessary to keep the ground in peak condition for the thousands of visitors. AM Services Group (AMSG) has the expertise to carry out the difficult task of high level jet washing the outside of the main stadium, including the cladding, and the external cleaning of the vinyl dome at the top of the club’s ten-metre-high training academy. The bronze statues of legendary players Stanley Matthews and Gordon Banks are also a key part of the specialist cleaning remit. Correct pressure had to be used to clear the moss and algae on the stone and chemicals were specially selected to avoid any adverse reaction on the bronze. The high level stadium cleaning, which was carried out from 125ft cherry pickers, also needed to meet the added logistical and health and safety challenges of keeping the public safe, rerouting traffic while work was is carried out, and ensuring that inconvenience was kept to the minimum. As effective as it is efficient, the AMSG team completed the entire complex Stoke City FC cleaning challenge over a three week period. The AMSG team has provided such a high standard of service and safety, as well as giving added value by ensuring that work is completed on time, every time to minimize disruption to the club’s services and the public, that the company has established itself as a partner of choice for the football club’s maintenance team.  Benefits – Experience and Expertise, Health and Safety Standards, Flexible Working, Strong Client Relationships. Services – Jet Washing, Deep Cleaning, High Level Cleaning.